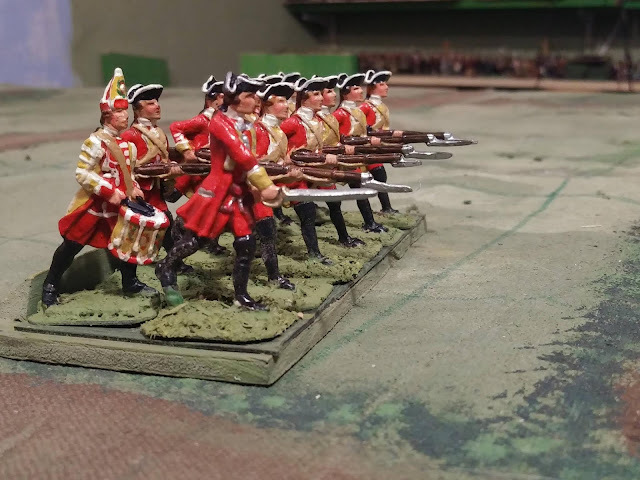 This year at Huzzah!, the Maine Historical Wargaming Convention, (see Huzzah! 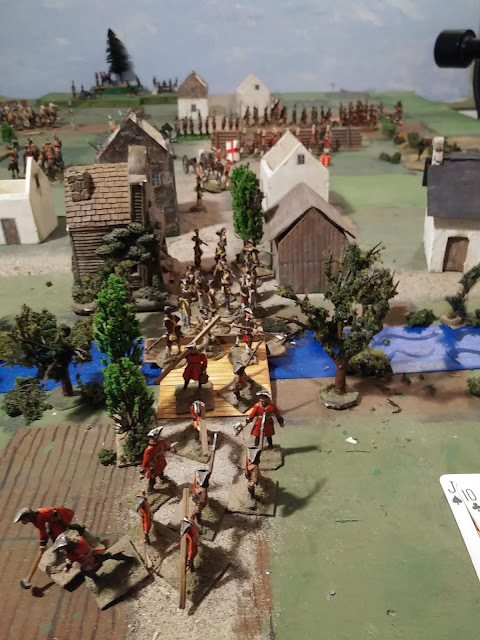 2019) Rob Dean and I will be running two games using With MacDuff to the Frontier and homecast, semiflat, 18thC, armies in our Not Quite The Seven Years War setting. The rules are quick to learn and suitable for novice as well as veteran gamers. A Quick Reference Sheet is available here. And an early draft of the full 25th anniversary edition should be available here by May. Friday night's game is an ambush scenario based on a CS Grant scenario. (click here for a battle report of a solo version from a few years ago). 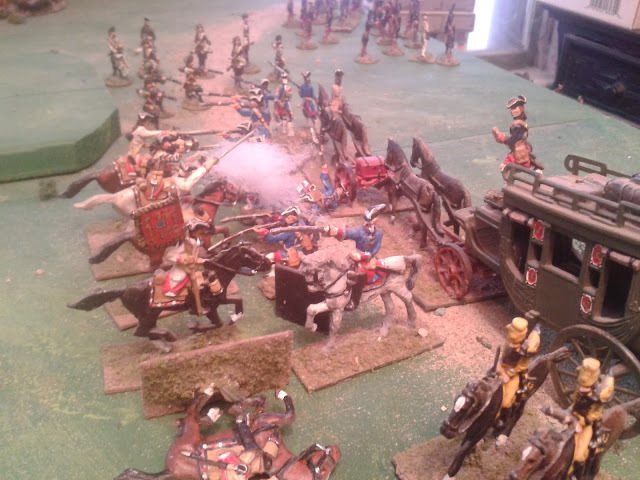 Saturday's game will be an adaptation of the Sittingbad game in Lawford and Young's classic wargaming book Charge!. Very lovely looking game, and extremely interesting quick sheet. Thank you for sharing.